We are a leading Wholesaler & Trader of LCD Projector Lamp such as Sanyo Projector Lamp, Dell Projector Lamp, Eiki Projector Lamp, Epson Projector Lamp, Hitachi Projector Lamp, HP Projector Lamp and many more items from India. We bring forth for our clients a comprehensive range of HP Projector Lamp that is sourced from registered vendors. 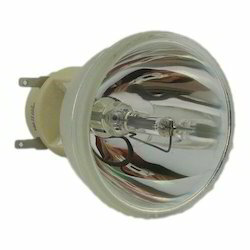 Suitable to be used in all kinds of projectors, these lamps can be easily replaced. Furthermore, appreciated for their low maintenance and ease of installation, these lamps are available in different watts depending on the projectors. 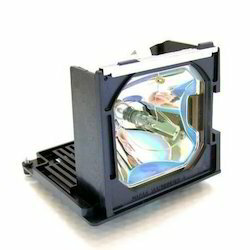 Sanyo Projector Lamp offered by us are well known for their quality and durability. 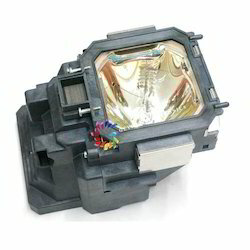 These Projector Lamps are fabricated by using the qualitative raw material. These Projector Lamps are appreciated in the worldwide market. 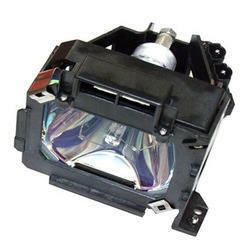 These Projector Lamps are offered at the market leading prices. 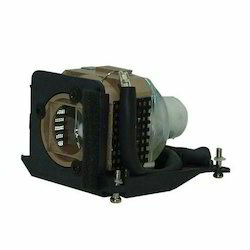 We are known for offering Eiki Projector Lamp to the clients. Offered range is precisely manufactured using the optimum quality basic material in compliance with the set industry standards by the highly reputed vendors. Eiki Projector Lamp is tested on different parameters by quality controllers to ensure no defects under the guidance of our experts. We are an esteemed organization, dedicatedly instrumental in offering a broad range of IBM Projector Lamp to our clients. These products are properly manufactured by vendors’ industrious professionals using contemporary techniques and supreme quality components in line with set industrial norms. To maintain the quality, our products are carefully checked on several parameters. Our customers can avail these products in various technical specifications as per their needs.